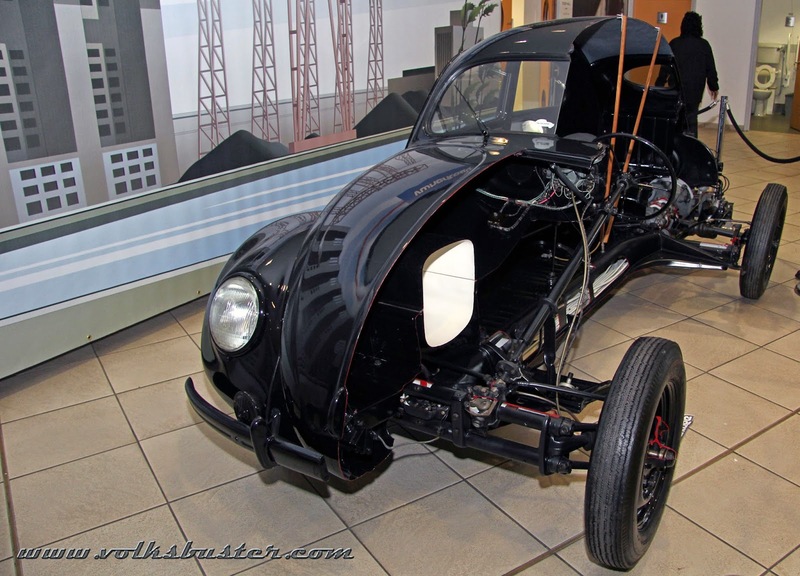 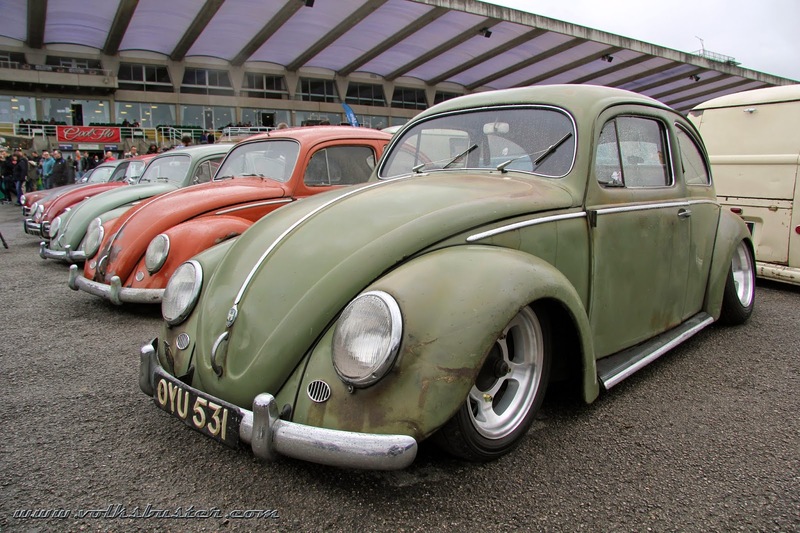 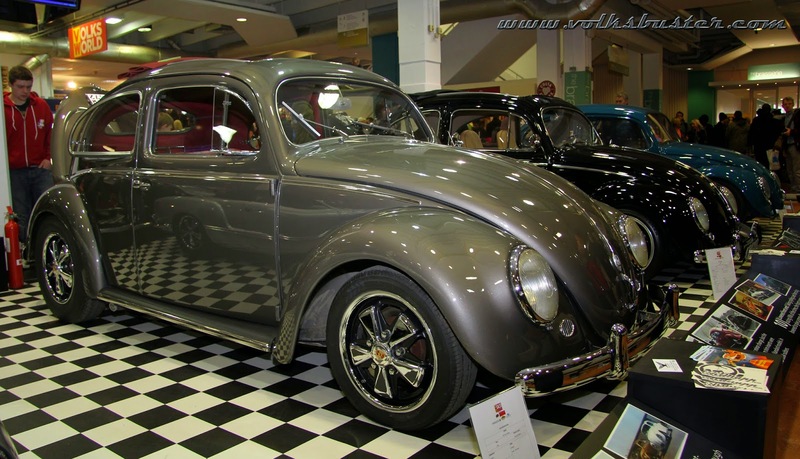 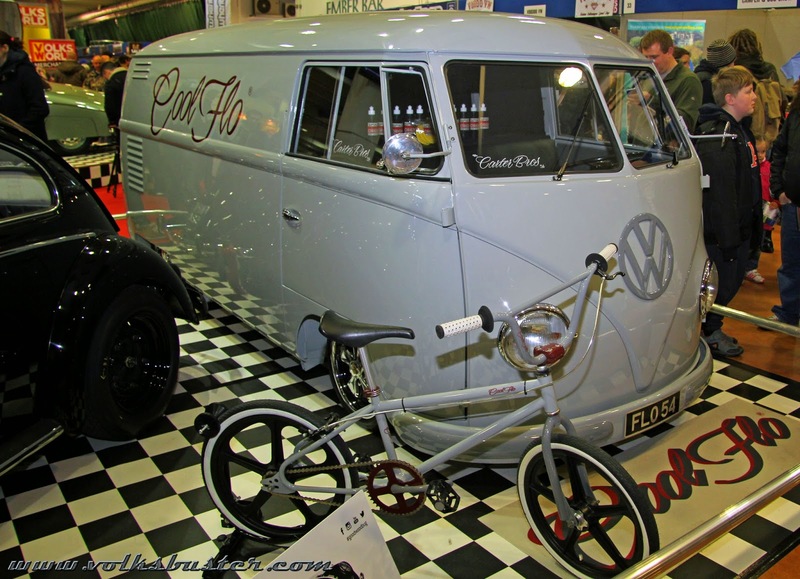 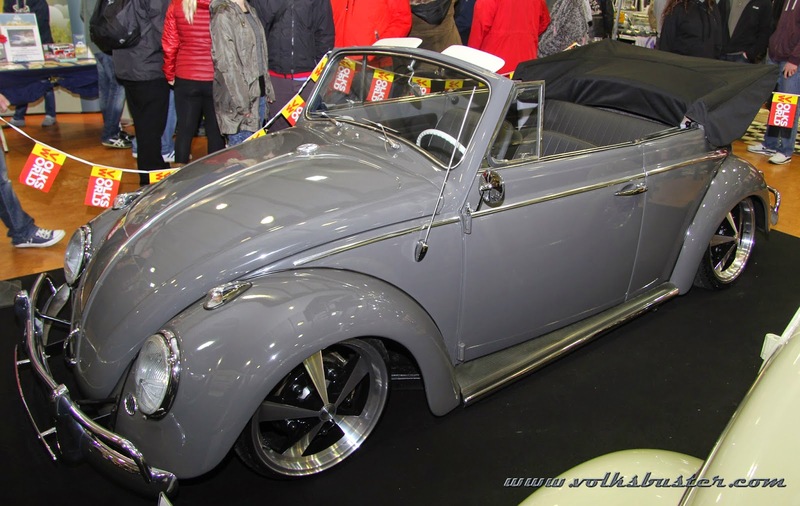 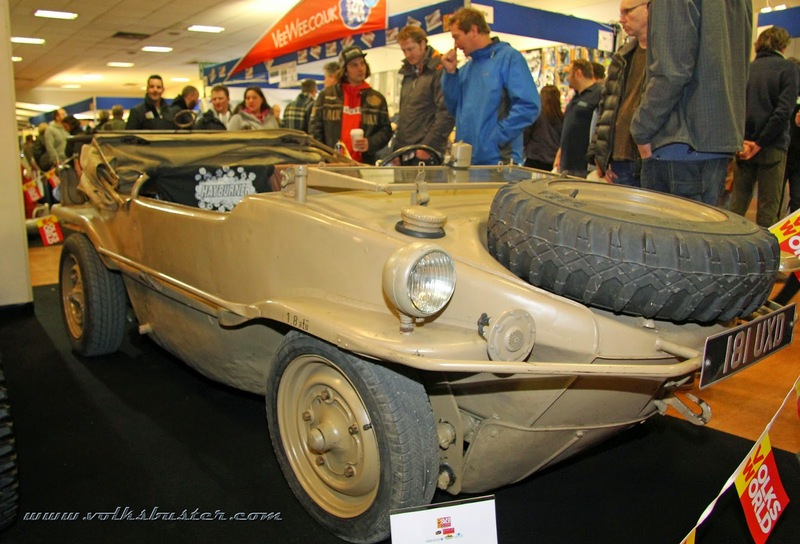 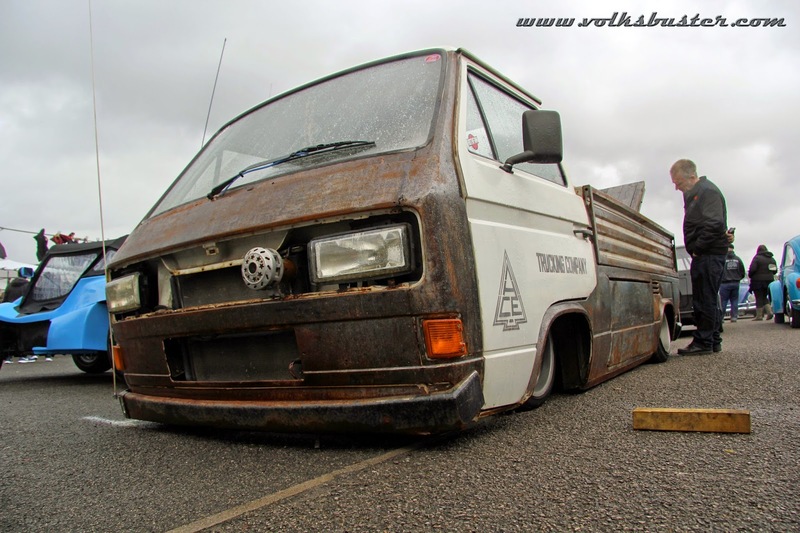 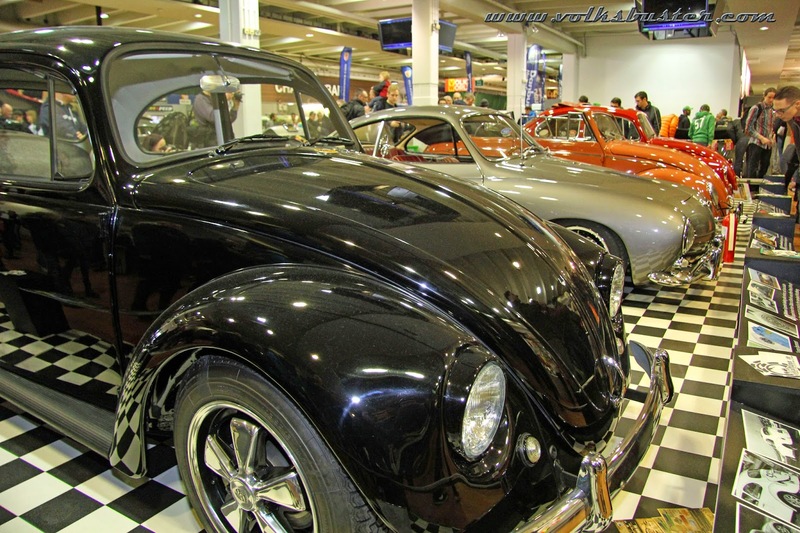 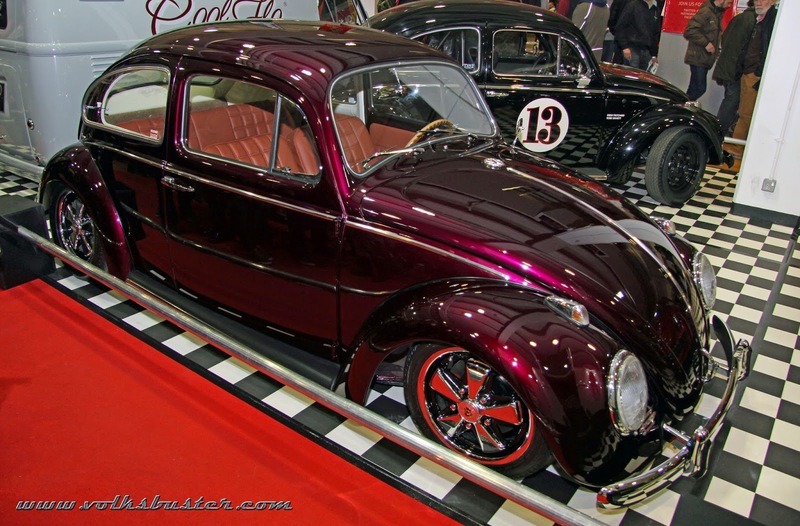 So here we are in 2015 and the Volksworld show marks the start of the VW show season for us here at Volksbuster. 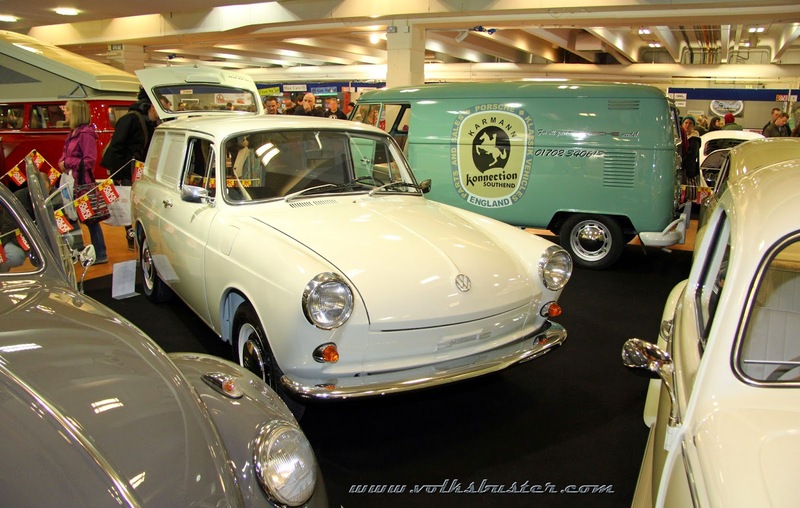 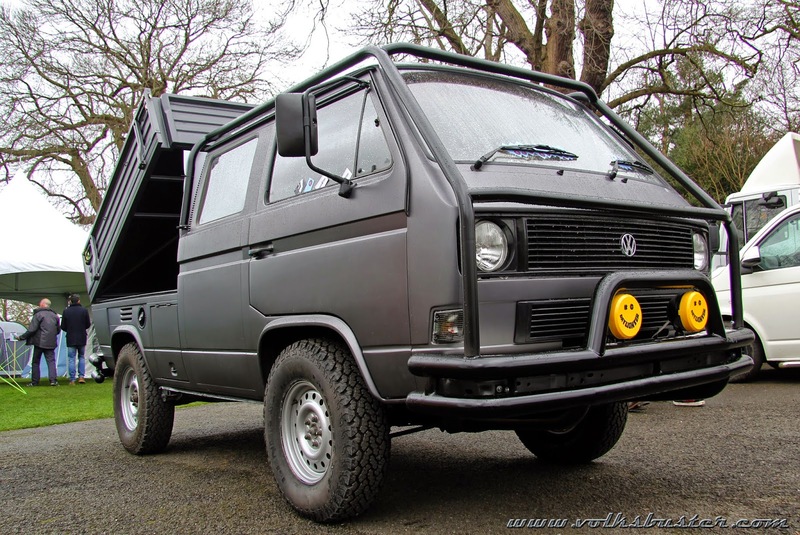 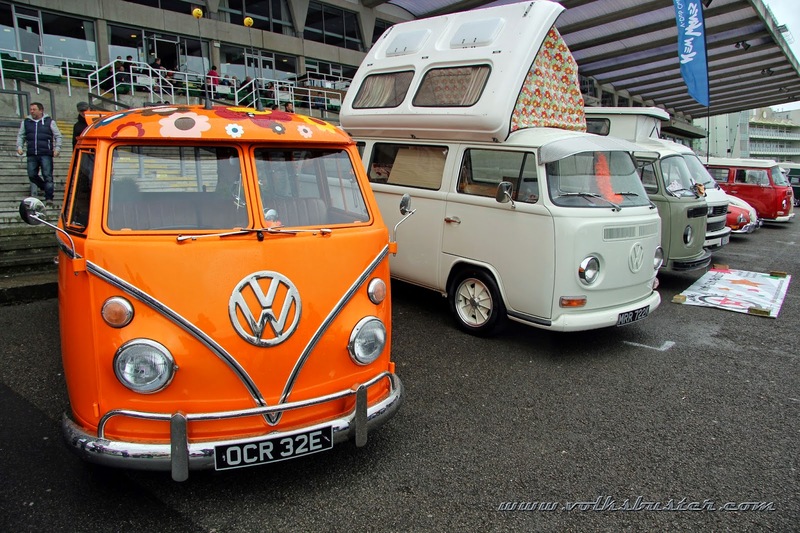 For the past three years we have had one of our fleet in the Splitterz VW Club line up at the show and we normally camp over for the weekend but this year decided to let one of the other members have a go and due to other commitments could only visit on the Sunday. 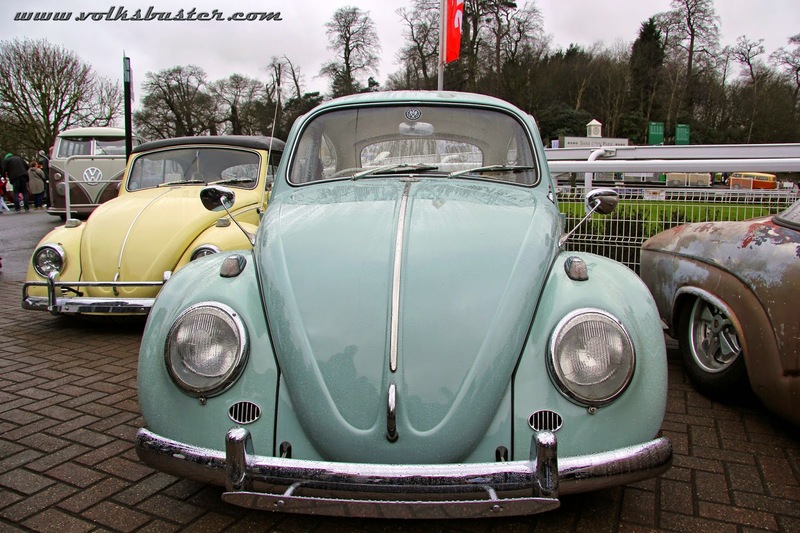 Not the best day to attend as the weather was awful with howling winds and rain showers! 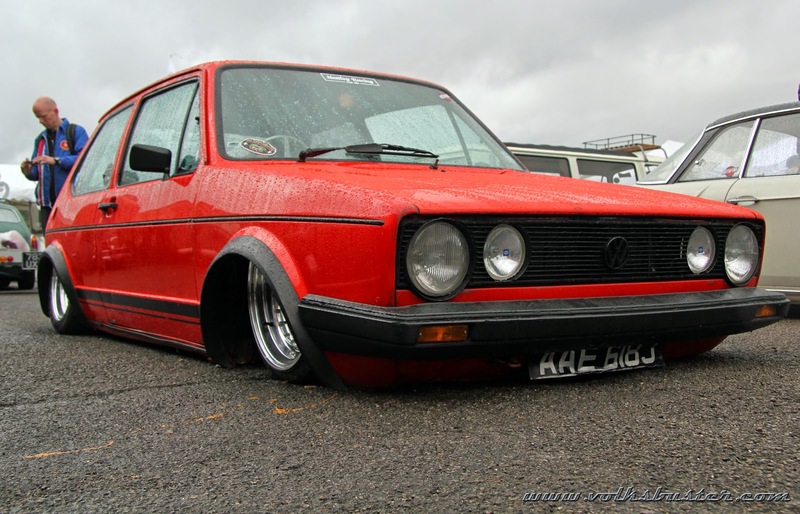 Luckily most of the show is indoors. 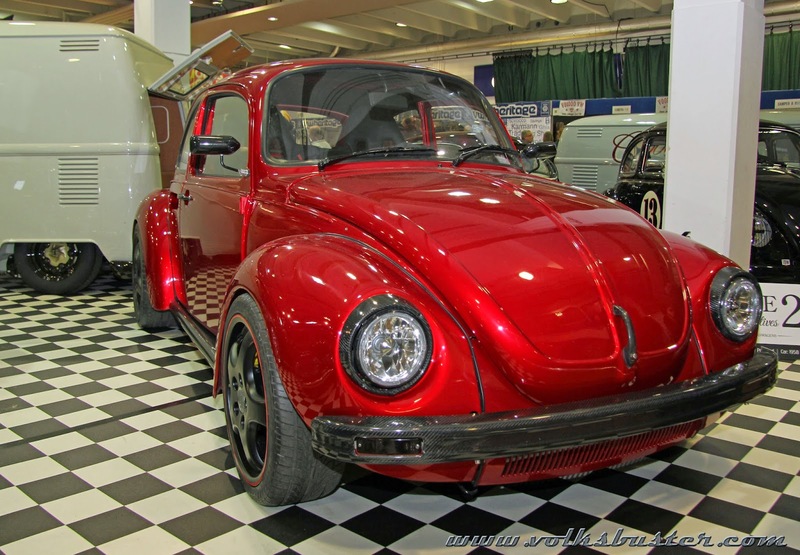 The quality of the show cars inside the building at Sandown park is amazing and seems to get better year on year and it's always chock full of top notch Bugs, Buses, Rods, Buggies and Type 3's. 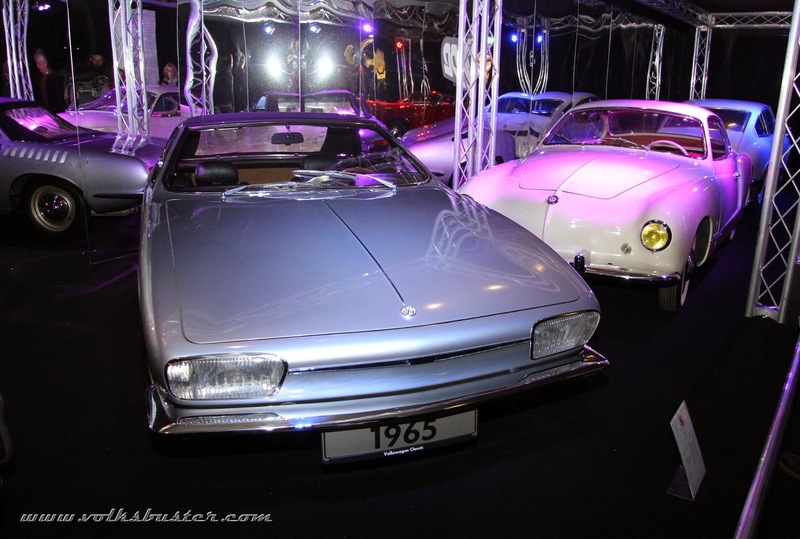 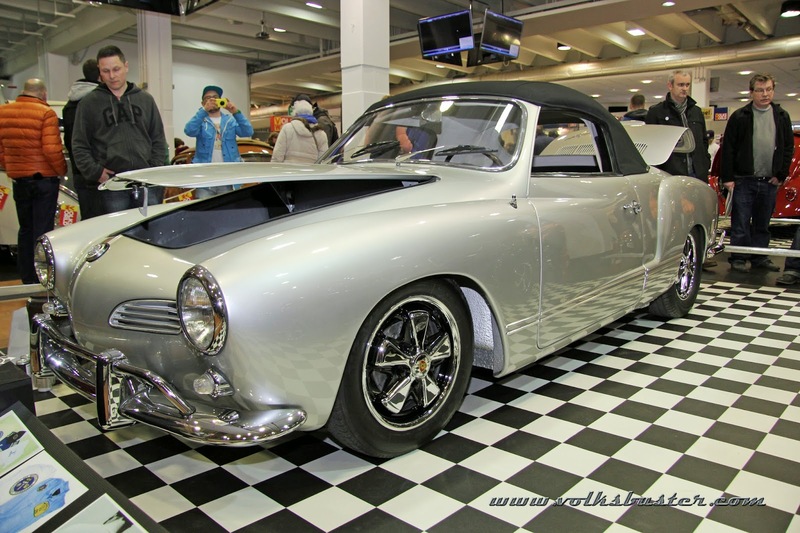 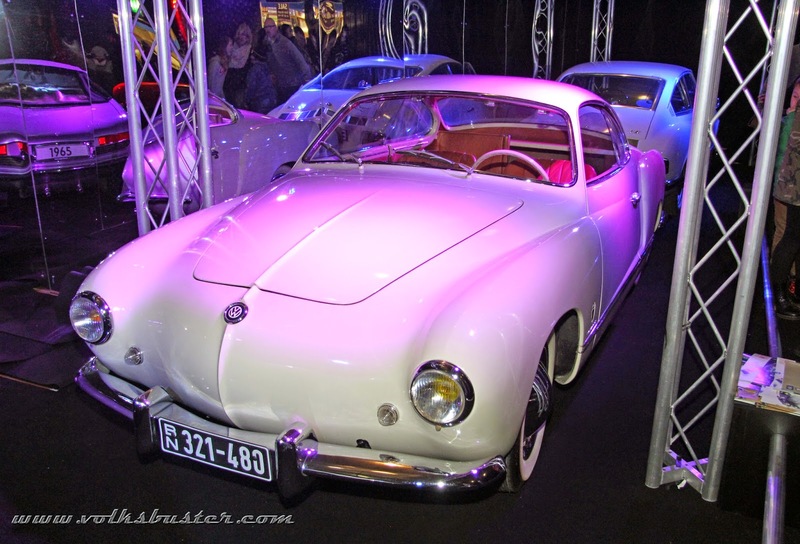 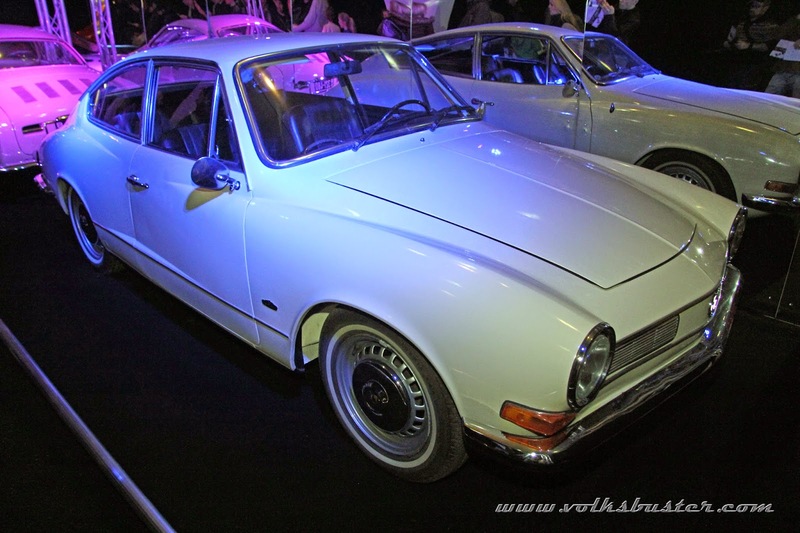 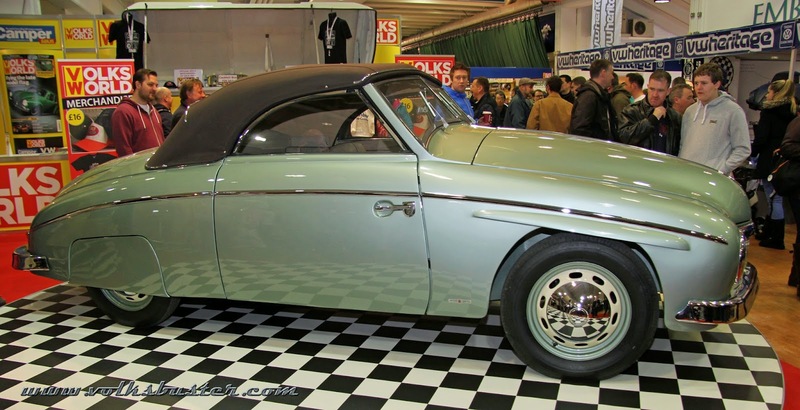 Volksworld always manage to get some rare cars to the show and this year with the help of VW Heritage Classic Parts managed to get four Karmann Ghia prototypes over from the Karmann museum in Germany for a special display.